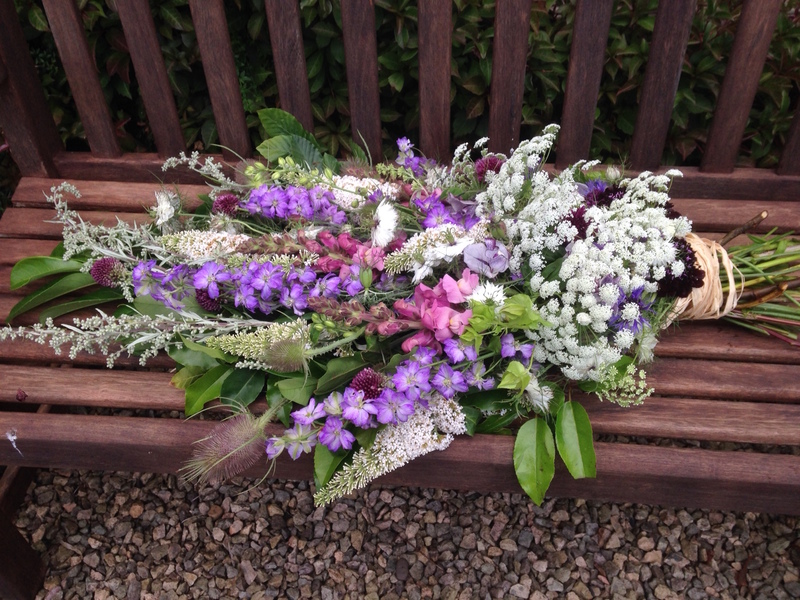 Seasonal Scottish grown blooms fit perfectly with those looking for natural funeral flowers either for environmental reasons or those wishing less formal funeral tributes. 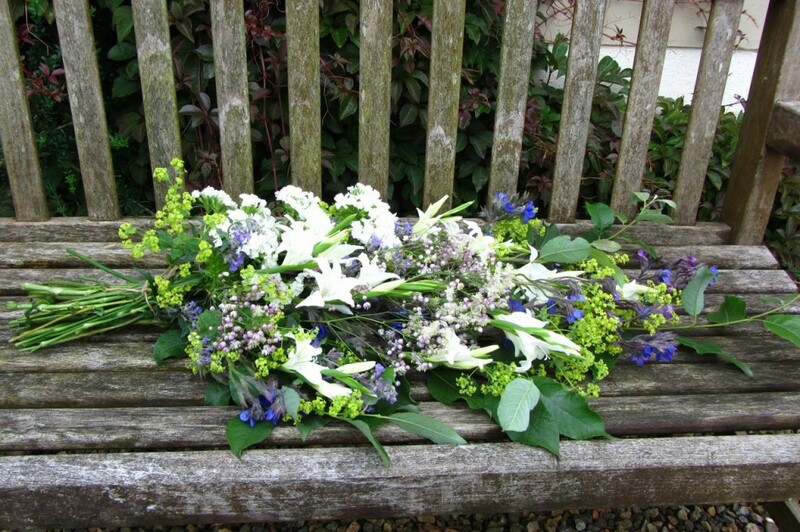 My designs avoid the use of floral foam and can be made without wire so are completely biodegradable fitting with woodland burial and cremation services.Sheaf designs are the main casket top arrangements we offer starting at 60cm long to 120cm as standard. 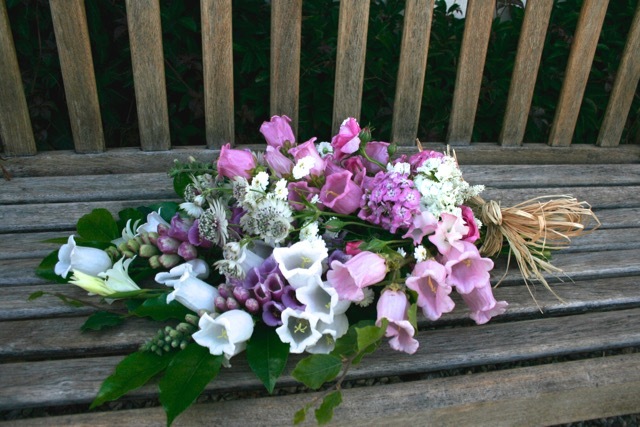 Please contact us to discuss different lengths or alternative styles. 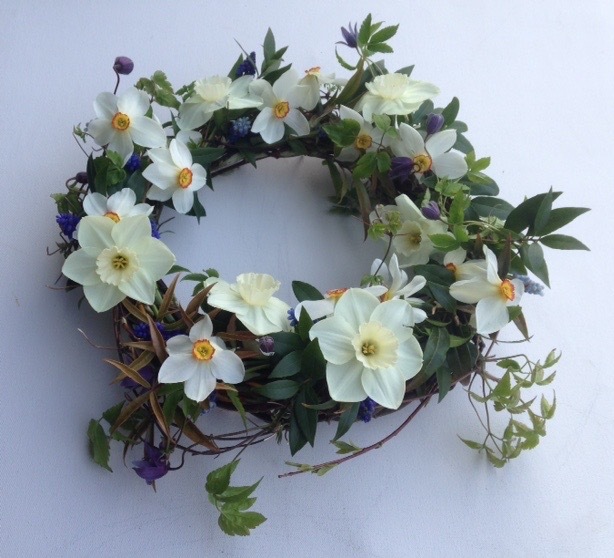 Willow wreaths, posies, and flat backed posy are the smaller designs we offer for small or additional arrangements. 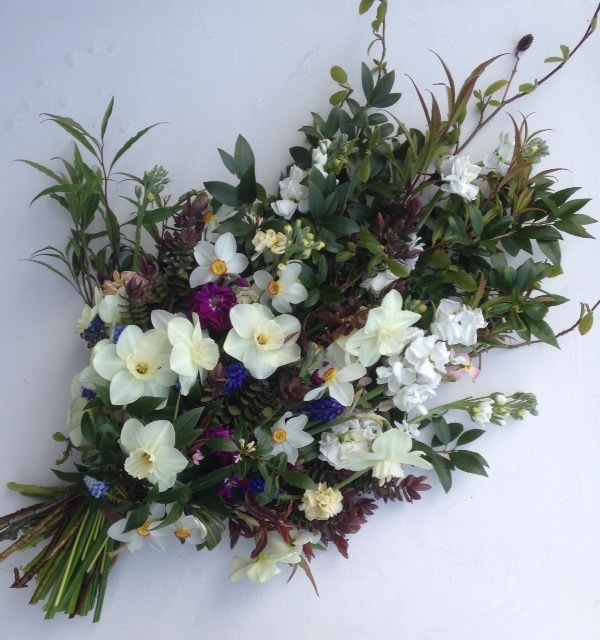 If the deceased was a flower lover, plantsman or gardener I can cut and arrange flowers from their garden to include in the arrangement where appropriate.